DEPART: 8:00am from Colonial Nursery, 1124 West Front St, Lincroft. After visiting Bryn Athyn Cathedral last summer, everyone requested a return visit to the Historic Area to see more of the estate. On this trip we again meet up with Danielle, the Estate Head Gardener for a private garden tour plus we visit Cairnwood & Glencairn Museum. Lunch is in Cairnwood’s charming Garden House. 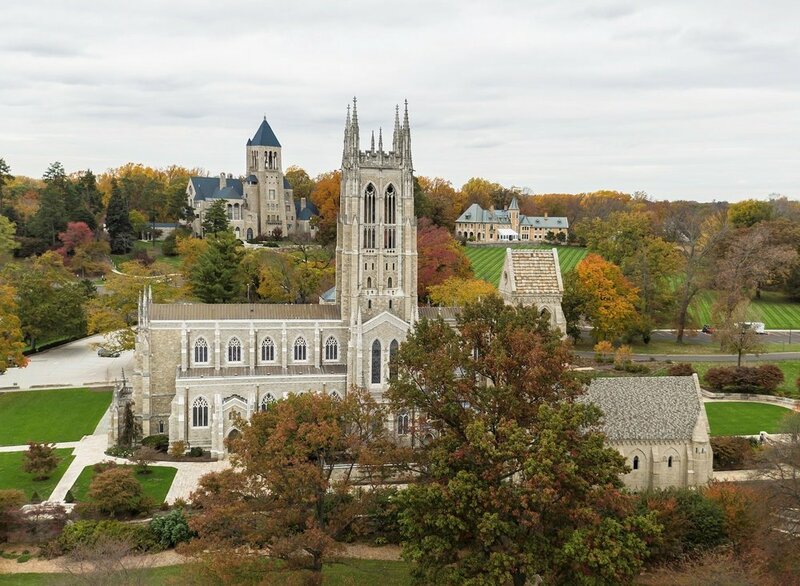 BRYN ATHYN, Pennsylvania, was founded as a religious community in the late 19th century by members of a Christian denomination known as the New Church, inspired by the teachings of Emanuel Swedenborg. 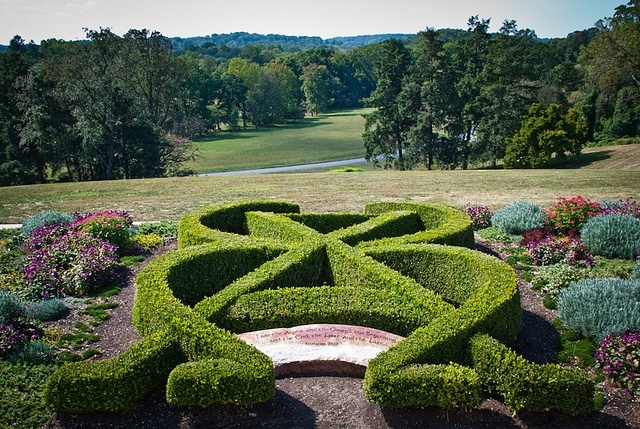 Located in Montgomery County just minutes from Bucks County and Philadelphia, this small borough is home to some of the area’s most remarkable architecture, including three National Historic Landmarks recognized for their remarkable architecture, and craftsmanship: Cairnwood Estate, Glencairn Museum and the renowned Bryn Athyn Cathedral. Cairnwood Estate was completed in 1895 during America’s Gilded Age, Cairnwood was designed for industrialist John Pitcairn and his wife Gertrude. It is the only existing Beaux-Arts-style home in Pennsylvania designed by the New York firm Carrère and Hastings. Your guided tour takes you on an exploration of this 19th-century country estate including the private chapel, servants’ quarters, Garden House, and Carriage House collections. Glencairn Museum was built between 1928 and 1939 and was once the home of Raymond and Mildred Pitcairn. Featuring unique architecture and craftsmanship, Glencairn is now a museum of religious art and history. On your tour you will visit the Great Hall, Master Bedroom, and Tower with a special focus on the ancient Egyptian and medieval European art collections. Includes: Kirsty Dougherty as your host for the day; transportation on luxury Academy bus with restroom, wifi & power outlets; driver tip; entry and private tour at the Cairnwood Estate, private garden tour with Estate Head Gardener; guided tour of Glencairn Museum; visit Bryn Athyn Cathedral; lunch in the Garden Cottage; destination talk on the ride there; morning coffee & pastries; bottled water. WEATHER: This trip goes ahead in all weather. Please dress accordingly. ACCESS: Expect to be on your feet walking through the gardens for up to 2 hours at a time. Please be aware that parts of the Cairnwood Estate & Glencairn Museum included in our tour are not wheelchair accessible. The gardens are historical and/or private properties and have grassed paths, slopes and steps. If you are concerned whether this trip is for you, please give me a call on 908.512.0600 to discuss. Your day starts from Colonial Nursery with a pick up at the Park & Ride on Hope Rd, Eatontown. Enjoy morning coffee & pastries on the ride down. On arrival at Bryn Athyn Historic District, take a private guided tour through the Cairnwood Estate, followed by lunch in the Garden House. There is time during lunch to visit the gift shop. After lunch, meet up with Danielle, Estate Head Gardener for an Estate Garden Highlights Tour. Later, tour the Glencairn Museum and visit the stunning Bryn Athyn Cathedral before heading back to NJ. Lunch is provided by local baker - Be Well Bakery enjoyed in the quaint Estate Garden House. Please indicate any questions about lunch on the booking form below. Thank you! Cancellations: Your ticket is refundable up to one month before the tour. After this time, if you have to cancel and we cannot fill your spot, the ticket is not refundable. Weather: This trip goes ahead in all weather. Lunch: Please use the message box to let me know of any allergy or dietary restrictions or if you need more information on the lunch menu. Please indicate below if you have any questions about this trip. Thank you for booking the Bryn Athyn Historic District day trip on June 4. I will be in contact to confirm your reservation. Any questions, don’t hesitate to contact me on 908.512.0600.